Every little girl dreams of being a princess when she grows up. The music of the animated princess movies produced by Walt Disney Incorporated perpetuate traditional notions of masculinity and femininity. There are eight definitive princesses in the Disney series including Snow White, Cinderella, Aurora, Ariel, Belle, Jasmine, Pocahontas, and Mulan. However, this paper will only address one princess from each of the three groups we have designated. 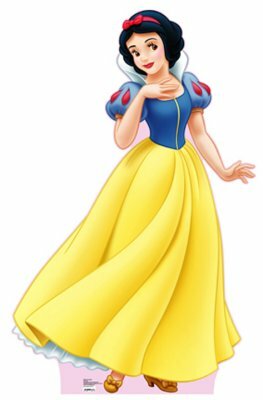 We have chosen Snow White to represent the earliest chronological group of princesses including Snow White, Cinderella, and Aurora. This first group of princesses conforms to very strict gender roles. Belle represents the second group (Ariel, Belle, and Jasmine) who conform to traditional gender norms but some progressive roles are presented. Mulan represents the third group (Pocahontas and Mulan) who initially contradict, but later conform to, traditional gender roles. Thus, although all of the princesses eventually conform to gender roles, these roles become more flexible as time progresses. The first Disney princess, Snow White, sets the stage for the stereotypical princess for decades to come. Based on one of the Brothers’ Grimm fairytales, Snow White and the Seven Dwarfs was made in 1937, making history as the first full-length animated film in America, produced by Walt Disney (Wikipedia.com). 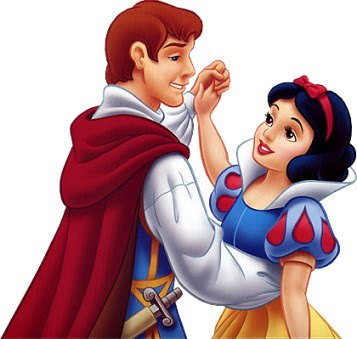 The film features a conflict between the vain Queen and beautiful Snow White. The Queen becomes jealous of Snow White’s beauty and eventually tricks Snow White by giving her a bite from a poisonous apple (perhaps an allusion to the biblical Eve?). Luckily, she merely falls into a deep sleep only to be awakened by true love’s kiss and to live happily ever after with her prince. 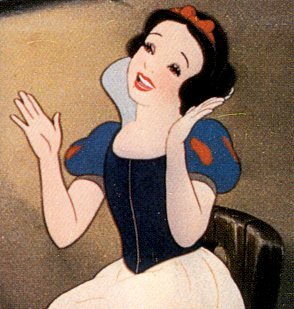 One of the most iconic songs from the film is entitled “Some Day My Prince Will Come” and occurs when Snow White is singing to the seven dwarfs in their cottage in the woods. The song exemplifies both patriarchal control and traditional ideas of femininity through its lyrics (Larry Morey) and musicality (Frank Churchill). Traditional gender roles are explained through the patriarchal tone of the song. Men wrote both the lyrics and the music, creating this patriarchal tone. For example, the lyrics suggest that Snow White conforms to traditional gender roles by stating that she cannot reach her dream of eternal happiness until she gets married: “To be happy forever I know…and wedding bells will ring, some day when my dreams come true”. This reflects the patriarchic structure of society during the time in which the film was produced. Historically, the film occurred a few years before the U.S. entered World War II, in which women rarely had a chance to gain social independence. The lyrics support the strict gendered structure of society in which men dominate the public sphere while women have fewer social opportunities. The one opportunity available to women during this time was to get married, as expressed explicitly by Snow White. She does not vocalize any other vocational or educational opportunities. In addition to the patriarchal message, the musicality and visual imagery of “Some Day My Prince Will Come” showcase a stereotypically feminine princess. Adriana Caselotti, Soprano I, sings Snow White in a very high vocal register. The dreamy, legato (smooth and connected) melody is strung together with a carefree and simple chord structure. Snow White lingers on each tone in a high pitched vibrato, evoking longing and the romanticization of heterosexual love. The visual imagery also presents stereotypical femininity. For example, numerous animals surround Snow White as she motheringly serenades the dwarfs. Snow White exemplifies traditional femininity through her connection to nature and her role as a mother-type figure to the dwarfs. 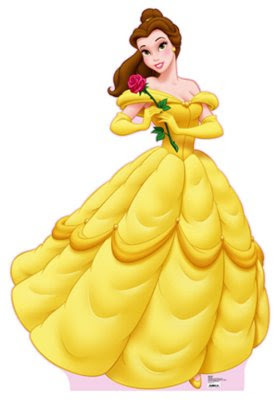 Another Disney film, Beauty and the Beast, premiered in 1991 and introduced the fifth definitive princess, Belle. Gender stereotypes are seen through the film’s three main characters: Belle, a young French woman; Gaston, the film’s antagonist who arrogantly vies for Belle’s hand in marriage; and the Beast, a prince who was turned into a beast by an enchantress. In order to be changed back into a prince, the Beast must learn to love and be loved in return. When Belle stumbles upon the Beast’s castle, she discovers that he has taken her father captive. The Beast agrees for Belle to take her father’s place, as he sees opportunity to be released from the spell. In the end, the two learn to truly love each other, despite Gaston’s best efforts, and the Beast is transformed back into a prince. The music of the film was composed by Alan Menkin and Howard Ashman (Wikipedia.com). The first musical number entitled “Belle” reflects traditional gender stereotypes, including both contrasting gendered associations with nature and contrasting gender roles. The song presents Belle as being closely connected to nature. 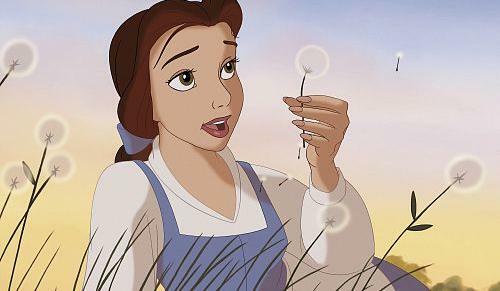 For example, as the song begins, birds gently flutter next to Belle. Similarly, in the latter part of the song, Belle sits on the edge of a fountain. As she does so, passing sheep crowd around her as if they can understand what she is saying. Belle’s close connection to nature is consistent with traditional representations of femininity, as historical representations of women are often associated with nature. For example, the titles “mother earth” and “mother country” connect women and land as the givers and sustainers of life. However, while women are portrayed as being connected to nature, men are portrayed as being the masters and exploiters of nature. This stereotype is once again displayed in the lyrics of the opening number. For example, when Gaston is first introduced to the audience, he successfully shoots a bird as his sidekick states: “You’re the greatest hunter in the whole world…no beast alive stands a chance against you.” This statement reflects Gaston’s exploitation of nature and confirms the contrasting connections of men and women to nature. The song also presents the gender roles of women and men. Women are portrayed as consumers and domestic workers, while men are portrayed as financial providers. For example, all of the business owners including the baker, the wig-maker, and the book-seller are all men. In contrast, the women of the town are only seen as performing domestic duties and as consuming goods rather than providing them. For example, one woman is depicted doing laundry, while another is seen purchasing a wig. These depictions are consistent with the traditional gender roles, with women belonging in the domestic sphere and men belonging in the public sphere. 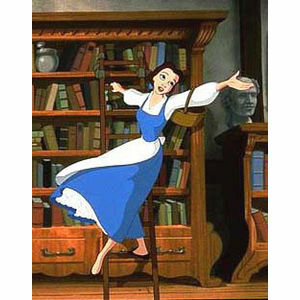 Although Belle’s larger social sphere promotes traditional gender norms, she takes interest in non-traditional activities such as reading. However, these activities do not hinder her final acceptance of traditional femininity by living happily-ever-after her prince. 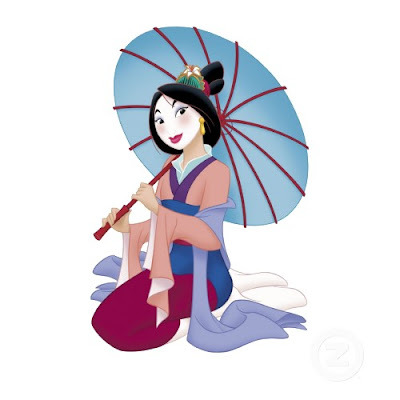 Mulan was released in 1998, introducing the last of the eight princesses and culminating our progression of princesses through time. After China is invaded by the Huns, the country enacts the conscription of one male from each household to join the army. 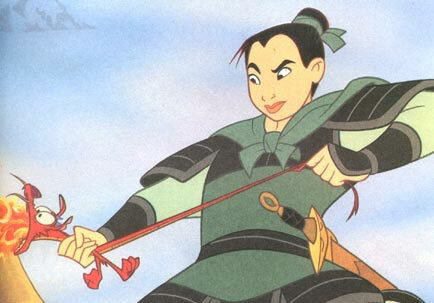 In order to save her ailing father from going to battle, Mulan dresses up as a man to fight in his place. After struggling with the conventions of hegemonic masculinity, Mulan finally succeeds in a traditionally male-dominated sector. However, her success does not keep her from eventually conforming to traditional gender roles, as she eventually gets married. 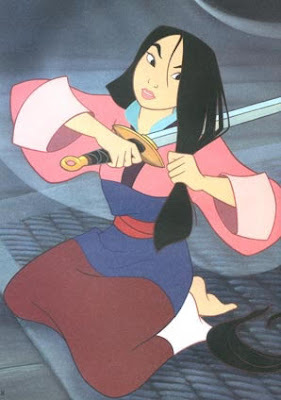 The song “A Girl Worth Fighting For” especially displays the conflicting messages regarding masculinity and femininity in Mulan. Traditional masculinity is portrayed through the affirmation of strength and the negation of non-hegemonic masculinity in “Girl Worth Fighting For.” The song emphasizes strength as a necessary characteristic of hegemonic masculinity. Strength defines masculinity as exemplified in the following lyrics: “My girl will marvel at my strength, adore my battle scars.” The song presents only one hegemonic male, the captain, who looks down upon the other men because they do not fit the hegemonic definition of masculinity: one is short and chubby, one is ridiculously oversized, one is skinny and uncoordinated, one is a woman disguised as a man—Mulan. Through these characters’ inadequate portrayal of accepted masculinity, they show what hegemonic masculinity is. Similarly, the song portrays traditional femininity through the depiction of what an ideal wife should be. It promotes domesticity, physical appearance, and masculine adoration while rejecting female intellect. For example, one soldier states: “It all depends on what she cooks like…beef, pork, chicken…mmmm:” His focus on the domesticity of women emphasizes women’s place in the private sphere. Another soldier emphasizes the physical appearance of women, suggesting that a woman’s outward appearance is more important than her intellect: “I want her paler than the moon, with eyes that shine like stars.” Yet another states: “I'll bet the ladies love a man in armor.” Women are portrayed as passive supporters of the men in war, rather than active participants in society. Their only role is to adore the supposed hyper-masculinity of the soldiers. Then when Mulan suggests that a “girl worth fighting for” is one with a brain, the men emphatically reject this notion. Thus, although Mulan suggests that women should be appreciated for their intellectual abilities, the men argue that domesticity, physical appearance, and masculine adoration outweigh common sense and independence.